← Bucket List or Dream Inventory? I love it when my readers suggest topics for The Intersection of Purpose and Now. I have a reader from the Radiological Society of North America to thank for suggesting the subject of “Burnout”. I am doing exactly what I want to be doing with my life right now. Are you? I have the life I want, and I want my clients to be able to say just that as well. But let’s face it, anyone can face “burnout” at some point in a career. 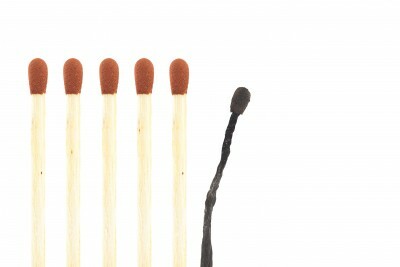 What is burnout, generally? If every day is a “bad day”; if you are often or always tired; if tasks at work or home seem like a waste of time; if you find most of the tasks you perform daily to be boring or monotonous; if you feel like nothing you do is appreciated or makes a difference…you may be on a path of burnout. Perhaps a lack of necessary “fuel” has brought your engines to a stop. Do even know what fuels you? Do you know how to get refueled? Maybe you’re just tired and need a rest. Or stressed and frustrated and need a break. Do you know how to rest? Have you made that break a priority? I would suggest that burnout can have at least one more source. When I was a young driver, my friends and I would test a car’s acceleration (and our manhood) by “burning out” our tires. (Rather comical now, considering I was driving an Olds Omega 4-cylinder.) Thing is, every time we burned rubber we reduced the tire tread quickly and, therefore, the traction and lifetime of the tire. Temporary thrills, “highs” and mountaintop experiences are not sustainable. Rely on them too much in your work or life and they increase your need for external inspiration and decrease internal motivation. Burn too much “rubber” too frequently and you lose traction on your work, your emotions and more. Too many burns too many times and you reduce the lifetime of value you might otherwise give to that which you serve, whether it is your work, or family, or community, or self. When you are doing one thing (e.g. in a job) but would like to be doing something else — this leads to burnout. Maybe you are really good at what you do but don’t really enjoy it. What if you are passionate about what you are doing but aren’t very good at it? If you know me or read this blog, you recognize how reluctant I am to give advice. With that in mind, the best advice I can give you in any of these circumstances is “Quit. Find a way to start something new.” You have to stop doing what you don’t like, or if you’re ineffective, if you want to start doing something else that truly brings you alive. Develop healthy eating, exercising and sleeping habits. I know you’ve heard it, but are you doing it? Learn how to manage stress; take yoga, pottery, a Bible study or meditation class if you must. Schedule your priorities instead of prioritizing your schedule. Set boundaries, “let your yes be yes and your no be no.” Put away the cell phones, laptops and tablets, the TVs…have a daily getaway from technology. Develop daily rituals that bring you moments of peace. Try something new, or something “old” with a beginner’s mentality. Find someone or a cause to serve. I started volunteering to speak at the local women’s correctional center once a month more than ten years ago. This is perhaps my favorite thing to do. I love it (I think they love me, too.) and look forward to returning each month. Serve someone; you’ll be amaze at the revival you experience. How specialized are you in your work? Research indicates general practitioners have the highest proportion of burnout cases. The more closely you identify your niche, your role, your special purpose or calling in life, the less likely you are to experience burnout. Find something you enjoy and pursue mastery in that area or with that skill. Commit to 90 days of coaching with me and I promise you the opportunity to articulate your Purpose in life as readily as you do your name, address and phone number. New York Times Bestselling Author John Maxwell speaks to the cause of burnout by directly addressing its cure. Maxwell, and many of my colleagues in career, life and business coaching will suggest you find one thing you do well, and thoroughly enjoy doing, and do it. What are you passionate about? What are you good at? Marry those two things and act on them. Stay at it. Make it your vocation or make it your avocation. Work at it or do it after work. This blog, The Intersection of Purpose and Now could be read as a primer on avoiding and overcoming burnout as well. May I seek to remain humble and still suggest that you read through the archive of this blog to help you address burnout and rediscover your passion? You can do anything, but you cannot do everything. Discover your vital few priorities. Understand the Myth of Balance. Know the difference between your Must Do and Should Do activities. Understand how “Overcommitted is an oxymoron.” Rediscover your passion. Why not take a magic carpet ride? Learn how to fix your broken want-to. Need to talk? Check out my Performance Development Network home page, find me on LinkedIn, Twitter and Facebook. Give me a call. Subscribe to and read this blog. This entry was posted in balance, burnout, frustration, John Maxwell, passion, Purpose, stress, Why This Work. Bookmark the permalink.